Continuing with the API redesign, we have some changes planned for the Tabs widget. We know that API changes like this are not without cost to our users, so we’d like to make it clear that except where specifically noted, jQuery UI Tabs in 1.9 will support the 1.8 API as well, and the deprecated APIs will not be removed until jQuery UI 2.0. The rotate method will be removed as it is not very common and has always been implemented as a built-in extension anyway. This will actually be removed, not just deprecated in 1.9 since it has always existed as an extension. Christopher McCulloh has an enhanced rotation extension based on the original code. The ajaxOptions and cache options are being removed in favor of a new event: beforeload. 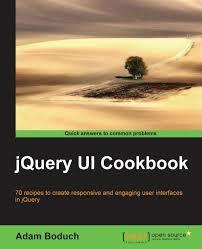 The beforeload event will receive a jqXHR object and the settings object that will be passed to jQuery.ajax(). ajaxOptions is replaced by modifying the settings passed to beforeload and caching can be implemented by calling event.preventDefault() to prevent the ajax call and jump straight to showing the tab. We will also be keeping the href attribute unmodified and storing the panel id in the aria-controls attribute. The aria-controls attribute will be set for all tabs, regardless of whether they are local or remote. This will remove the need for the url method, which is also being removed. It will be possible to pre-define a value in the aria-controls value for remote tabs, removing the need to specify the location in the title attribute (which is also being removed). The abort method will be removed since the jqXHR object will be directly accessible and you can therefore abort the ajax call directly. Another benefit of the beforeload event is when paired with the existing load event, you can create custom loading functionality; as such we are removing the spinner option. In order to improve consistency within the jQuery UI suite, select/selected will be renamed to activate/active across the board. What this means for tabs is that the selected option will be renamed to active, the select event will be renamed to beforeactivate, and the show event will be renamed to activate. The beforeactivate and activate options will include references to the tab and content panel for the old and new tabs, similar to accordion. In addition, the select method will be removed in favor of the setting the active option. Lastly, the deselectable option will be removed in 1.9 since it was deprecated in 1.8. All options related to templating are being removed. 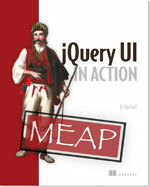 The templating in tabs is a one-off implementation and creates an inconsistency with the rest of jQuery UI. This change includes the removal of the idPrefix, tabTemplate, and panelTemplate options. The add and remove methods will be removed in favor of a new refresh method. This is consistent with how new plugins are updated after initialization. Removing these methods also means that the add and remove events are being removed. Tabs will properly support disabling individual tabs or the entire tab set. A boolean can be used to disable the entire set or an array of indices can be provided to disable individual tabs. In addition, the enable and disable events will be removed for consistency with other widgets. The length method will be removed as it doesn’t serve much purpose and can easily be calculated by counting the number of list items. The cookie option will be removed as cookie support is not core to the plugin. Cross-page state management should be easy, but not be built-in. There are a few things that we still haven’t fully worked out. We plan on replacing the fx option with show and hide options for consistency with other widgets, but are still working through an open issue of how to support effects across plugins. We would also like to remove the load method but we need to verify that it can be built as an extension. Until we get into the new implementation, we won’t know if this is possible; if it’s not, the load method will remain in the plugin. We’d love to hear your feedback on these changes. We want to make sure we address any issues the community may have before we finalize and implement these changes. If you have any feedback, please post it on the related forum post. Thanks.